Whether you are heading to the snowy hills for the day or going out west for a ski week, what you pack has a big impact on your ski trip. Forget your goggles, and you are spending the day blinking and crying as you cruise the slopes without eye protection – or you are shelling out serious dough for a replacement pair – no last minute deal for forgetful dummies. 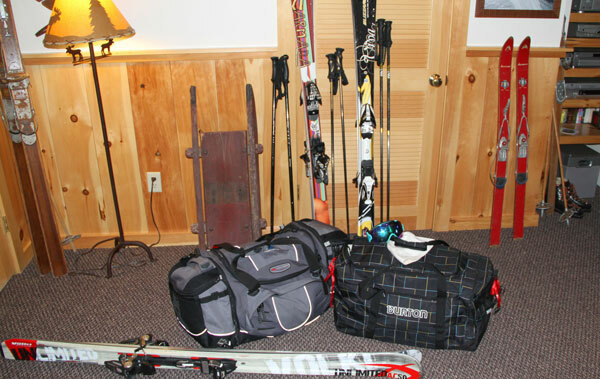 Skiing with the family – you need to remember a mountain of gear. You need systems for your ski packing , so you don’t forget someone’s ski pants, ski pass or goggles, or spend the morning in the ski shop instead of on the fresh snow. And you need to know how to dress for skiing. Ski Bag: Every skier in the family should have their own snowboard/ski boot bag, labeled with name, address and cell. Snowboards and Skis with poles should be stored clean and dry in one place – the garage or basement and ready to be packed in the car or on the ski rack, ski coffin or Thule. Check each ski bag before and after each ski trip to be sure everyone’s inner and outerwear is clean, dry, and ready to go. With young skiers, pack extras of everything from base layers to socks and mittens since they tend to get wet, often. If your ski trip requires airline travel, see our tips on shipping skis, or renting from a ski rental service, versus paying the airlines for excess ski bags. 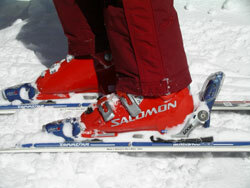 If you are bringing your own skis, see our review of the best skis!